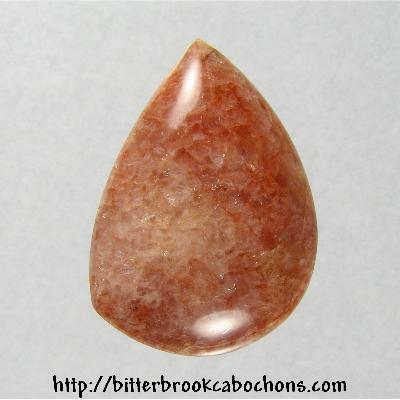 This freeform cut Brookwood Stone cabochon is a bit more pale than it shows in the photo. Gemmy rock with tiny flashes of chatoyance; an overall pretty cab! 29mm x 21mm x 6mm. Weight: 24.95 carats.